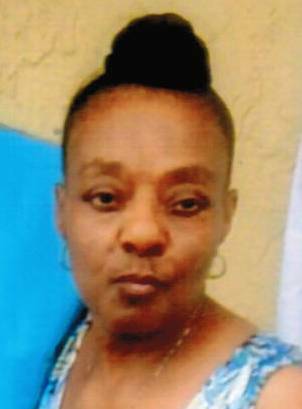 HALLSBORO—Carelesta Esperanza Bracey, 66, of 986 Cherry Town Road, Hallsboro, died Tuesday, February 12, at Lower Cape Fear Hospice Angel House. The funeral will be 2:00 PM Wednesday, February 20, at the Peoples Funeral Chapel in Whiteville by Dr. Jerry Ganus. Burial will be in the Hallsboro Memorial Park. Viewing will be at the funeral home Tuesday from 4:00 to 7:00 PM and Wednesday one hour prior to and following the service. Surviving are her father, John C. Bracey of Jim Thorpe, PA; her sisters, Wilhelmina Freeman of Whiteville, Alice Ragin and Linda Ganus of Hallsboro, and Eula Searcy of Jim Thorpe, PA; and brother, William Bracey of Hallsboro.